A boiler breakdown is every home owners nightmare, the thought of a huge looming bill coupled with a cold house and no hot water all add up to a real nightmare. With a broken boiler, things usually taken for granted like hot baths, showers and heating aren’t possible which leads to stress and discomfort. Get in Contact with AS Plumbing & Gas today and let us take the headache away. Our team of Gas Safe Registered engineers can get to your property quickly and in most cases get your boiler back up and running. If we can’t fix it on the day we can order parts and return to sort the issue. In the absolute worst-case scenario, we can advise on new boiler system options which we can supply and fit. Why let your boiler completely pack up before fixing it? Your boiler doesn’t necessarily have to be totally shut down to need a boiler repair. Things like a leaking boiler, banging/whistling noises, intermittent hot water, etc. can most often be the first signs of a looming breakdown. If the issues are addressed early, you could avoid a costlier bill down the road and sleep better at night in your nice warm home without the thought of a dreaded cold shower, or worse again, having to pester family and friends to use their shower. If you’re experiencing any of these problems, contact one of our engineers today. When your boiler is in a bad way, time is your worst enemy. If left long enough, you could need an entire new boiler and heating system. 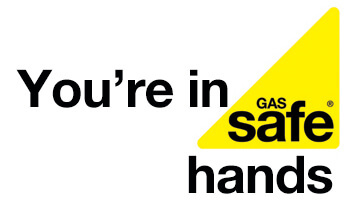 You need a gas safe engineer as soon as possible to stop a bigger bill down the road. 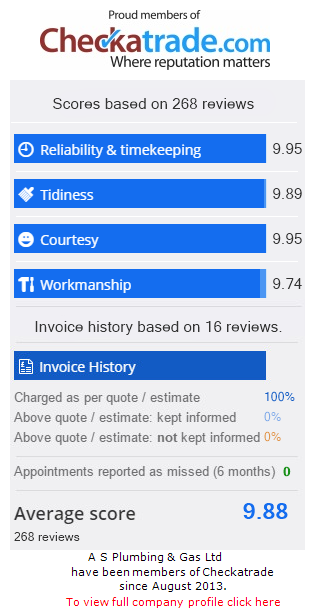 Contact our team of experts today to discuss your boiler repair. All of our Gas and Heating Engineers are Gas Safe Registered and fully trained on the range of services and products that we offer – We aim to provide our customers with transparency in all of the work that we do so that there are no hidden costs or work that you are not aware of. In addition to our boiler repair service, we also provide a range of New Boiler Installations in South East London and pride ourselves on the services that we offer. You can get in touch with a member of the AS Plumbing today by filling in our contact form and we will be happy to discuss any problems that you are experiencing!